Welcome to Lunar Graphics. There is a new set that is dedicated to my special someone. Lovers, visited it and let me know what you think. If you have any questions or comments you can email me or sign the guestbook. 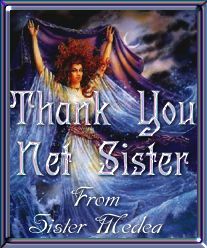 Attention Net Sister Click here for your special gift from me just for making me feel so welcome or Go here for an extra special surprise. If your interested in learning more about the web-mistress of this site then Click Here. Special thanks to Mara K for her help on the corner sets. Lunar Graphics offers a variety of professional services. I offer affordable web design, quality image scanning and custom graphics. If you want to revamp your web site or have no idea on how to start then let me do it for you. Email Me with your request for a free quote. For over two years I have been creating web pages for my own personal use. I am well versed in HTML, CSS and Paint Sho Pro, which I use to create graphics. Just recently I have begun to offer my skills on a professional basis. The portfolio shows those years of hard work and my first professional page. I may not know everything there is to know about web design but I'm constantly learning. This site was started on June 7/98 with the goal of creating original web graphics. Since then Lunar Graphics has won several awards for its design, creativity and originality. Win Lunar Graphics' site of gold award. You think you have what it takes? Apply for the award and find out. Visit the winners and compare. Coming soon, the "Design Excellence" and "3 Star" Awards. The 3 Star Award is for those just beginning to learn web design and are looking for a little acknowledgment for their hard work. I hope you enjoy everything Lunar Graphics has to offer. Feel free to leave any comments or suggestions in the Guestbook. Or better yet send me some Email or Page me on ICQ, I'd love to hear from you!! Want to join the Paint Shop Pro Users Group Webring?